Teaching a playful skill in VR, using the affordances of a virtual environment to experiment, fail and learn. We used Steam V and VRTK for interactions. Unity as a game engine. We used Sketchup for the environment. We used free assets from Sketchfab and Unity Asset store. We leveraged Playmaker to prototype but none of that code ended up in the final build. Rene built the environment based off of a lot of discussion on the right stage for the experience. Paul enjoyed learning animation. Matt has been proud of the level of creativity. We learned a lot about how to phase users into different levels of complexity. We knew we wanted to prototype some interactions quickly to be able to get the feel for what was working or not for the physics of juggling. The design process was pretty iterative, as we evaluated the interactions we adjusted the process for teaching. A number of our hunches were incorrect. 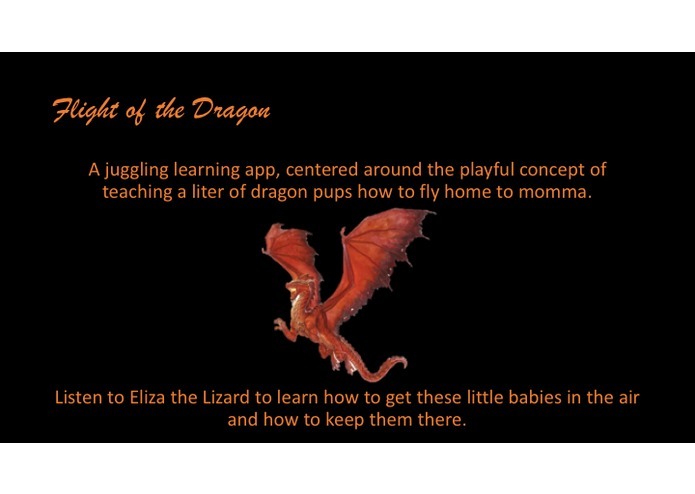 We found that having a concept (dragon teaching) helped pull together the learning path of juggling with a core narrative. We want people to play with it and enjoy it. Expect a lot of videos of the demos to show up on Twitter! 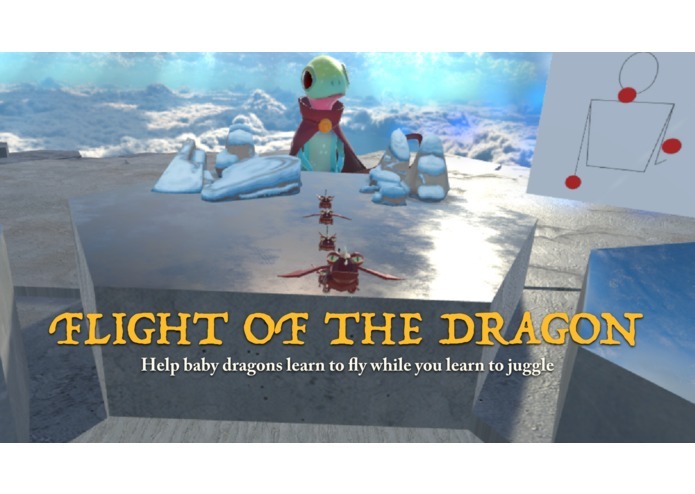 I developed the game narration and provided various support task.